Have you tuned in yet to Oprah's new show, The Big Give? It's reality show contest meets philanthropy - and a lot of ordinary folks, just like you and me, are watching and getting inspired to give their time, talents, and treasures in ways that make a difference. I like to think of Tri to End Homelessness as our own way to participate in and inspire big giving! Thanks to your generosity, I'm nearly half way to my 2008 fundraising goal! To date, Tri to End Homelessness has generated $3,125 to support the homeless families living at Genesis Home as they take the time, learn the skills, and garner the support needed to transition into independence. THANK YOU! Next month will mark the half-way point of my 10-month 2008 Tri to End Homelessness campaign. If you haven't yet given, will you donate today to help me be at least half-way to my fundraising goal by May 1? The half-way mark is just $525 away. Collectively, we can get there! And it you've already given, check out these other ways that you can continue to support the work Genesis Home does to end homelessness one family at a time. Thanks for thinking about how you can give big! A certain friend mentioned that I hadn't been writing much about my weekly workouts. So, without further ado, here's a recap I've been up to. In short: Not much. Not much training that is. After three high volume, muscular endurance weeks, today ends a wonderful rest week filled with March Madness and all of the accoutrement that accompany hours and hours of watching basketball (read: beer, nachos, pizza, feeling groggy the next day and waking thankful that the scheduled swim is very, very short). Monday: Swim with a few descending 100s and yoga. Tuesday: Easy peasy spin and time in the weight room. Thursday: Swim Golf! I actually decreased my stroke count for the first time in a long while by really focusing on initiating my stroke with my hips. Friday: Easy long run and happy hour on the back porch with my hubby, sister, and brother-in-law. Saturday: A hour on the bike trainer in lieu of a 1.5 hour ride outside, followed by core work and pushups in my living room, in lieu of trekking to the gym. After a wonderful taste of Spring on Friday night, Saturday morning brought a return of cold, rainy weather. In total, just under 7 hours of training. Next week, the engines rev again, I train while traveling for the first time this year, and I'll start to get very excited about my first tri of the season! "Injustice anywhere is a threat to justice everywhere.” - Dr. Martin Luther King, Jr. According to this year's Point in Time count, the need for services that help end homelessness - like the one's that Genesis Home provides - is high. During the 2008 count earlier this year, 1,929 people were found to be homeless in the Triangle. That's up from 1,806 last year and 1,720 in 2006. Family homelessness - the kind that Genesis Home works every day to prevent - is down 11%. I'm grateful for stories like the one in today's paper about the different approaches to ending homelessness in our community and the one in this week's Philanthropy Journal highlighting our Tri to End Homelessness campaign. But for me, the real story - the root cause story of the week - is the one about fellow Durham resident Mildred Cannady who is most likely going to lose her home due to foreclosure. Until we as a community stand up for real affordable housing, the homeless number will continue to rise. After three very busy work and high volume training weeks, I've been enjoying this week of rest. As has become a rest week tradition, I ran an Aerobic Time Trial (ATT) on Wednesday morning. During this type of run, we control the distance and heart rate and see what happens to time. Ideally, my aerobic capacity is increasing, which means that I can run the same distance at the same level of exertion in less time. For my regular ATTs, I've been doing a ~1.2 mile loop at my high zone 2 heart rate. This week, I really struggled to run slowly - to not push the pace and therefore my heart rate above where I was trying to keep it. For a gal who before last year was quite content to simply plod along slow and steady, this was a shocking - and frustrating - experience. I've been working so hard on teaching my body how to red-line and hold, that backing off has actually become a real challenge. Perhaps not a more difficult challenge, but a very different challenge none the less. Just as a colleague who works at a homeless shelter in Raleigh said in the quote above, when I slow down I have no choice but to REALLY pay attention. I notice the effort, I notice my form (or lack there of), I get bored. Just like the families at Genesis Home, I know that it's by going slow that we get faster - that slowing down and taking a hard look at our lives is the first step toward change. But KNOWING and DOING are very different things. March 25: World Premiere of "Change Comes Knocking," a film about the NC Fund, an anti-poverty organization called the North Carolina Fund that confronted the issues of race, class and politics during the turbulent 1960s. Union Auditorium beginning at 7:00pm, followed by a panel of speakers. March 26-27: 24-hour HUNGER FAST begins at 6:00pm Wednesday and breaks at 6:00pm Thursday with a free dinner at the BOX-OUT in the Pit . Sign up in the Pit from 10am-4pm or in front of the post office on Franklin St. from 10am-2pm. BOX-OUT will feature live music, food, panelists from Washington, DC, and the opportunity to spend the night in a cardboard box to raise awareness about homelessness. March 26: Public forum on "Real Change from Spare Change" at 5pm in Hanes Art Center 121. Panel discussion on panhandling issues and policies in Chapel Hill. Bring one empty paper grocery bag. March 27: The Faces of Homelessness of the National Coalition for the Homeless in Washington, DC, will present panelists made up of formerly and currently homeless individuals who will share their stories and discuss the conditions of poverty in the US. Sponsored by RHA, Hillel, and the Campus Y. Email westmm@email.unc.edu for more information. March 28: Discussion of the conditions of rural poverty in NC led by David Dodson, executive director of MDC Inc. and keynote speaker for the 2nd Annual UNC Poverty Awareness Week. Event will take place at 12pm in the Campus Y. Contact westmm@email.unc.edu for more information about any of these events. Last year, I highlighted our local Spare Change Initiative that encourages folks to give donations of all sizes to organizations working to end homelessness - instead of folks panhandling on the street. Recently, the Initiative got some serious support from my alma mater. Go Heels! If college students can make change from spare change, we all can! How much I LOVE you after I FINALLY get going. How much I HATE you as I spend an hour and half trying to fix my bike computer, run around eating a handheld breakfast, gathering clothes and fuel and my tire pump and my route map and my cycling shoes and my shoes to drive in and my heart rate monitor and drive 20 miles to meet my sister and then get on my bike only to realize that I'm having a mechanical issue and have to call the bike shop to see if I can fix it before I head out on my longest ride yet of the year that will then be followed by a 30 minute run on a very warm early Spring day. Shoo, I'm tired just writing about yesterday's workout. My bike has screws in the back wheel bay that I can adjust to prevent the back tire from literally burning rubber. Yes, my back tire was significantly rubbing up against my bike frame. No wonder this week's trainer workouts felt so tough. Thanks for your help, Wes! I'm going to add a double water bottle holder behind my saddle. The water bottle between my aero bars just isn't my thing. I like the ease of liquid calories on the bike -- BUT they only work if I actually drink them. Days like yesterday again remind me of the connections between my triathlon training and the work of Genesis Home. My Saturday long rides are effective testing grounds for races in the months ahead. I can try new strategies, make mistakes, and know that help is just a phone call away. Homeless families living at Genesis Home can do the same during the up to two years they spend at the shelter. The training they do with the support of Genesis Home staff is then put to the test when they're out on their own. I've never played a team sport. Never shouted "1-2-3-Pride!" in the team huddle. Never passed the ball. Never watched the scoreboard in anticipation with my teammates beside me. In fact, for much of my life, I've shied away from the dreaded "group work" in any form and have reveled in my independence ---my ability to get things done ON MY OWN. Lived alone in my own apartment for years? Loved it. Developed successful community programs with my department of one? Owned it. Drove cross country with just me, my Jeep, and my CDs? Did it twice. 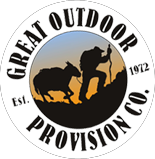 Hiked and camped alone in beautiful settings throughout the U.S.? Any chance I could. Made my way to my local Master's swim practice? Um...Not yet. But that's all changed now. Even though triathlon is incredibly individualized and self-focused, it's through this sport that I've discovered the power of a team. This week, I had the privilege of working out with two of my Sage Endurance teammates. Early Wednesday morning, Natalie and I met at the pool and each knocked out close to 3,000 yards. Even though, we had different sets planned for the day, there was something incredibly motivating about simply sharing a lane, looking each other in the goggle-blurred eyes as we pushed off the wall for our intervals, and knowing that someone else knew what the other was thinking and feeling as the set got long and the sun came up. Friday morning, teammate Claire and I met for our respective long runs of the week. Having never run together before, I wasn't sure what to expect. Would our paces be complementary? Would conversation flow easily? Would we push each other or let each other slide? In short, the run was one of the best I've had in a long time. During the first 6 miles that Claire was by my side, I learned about and was inspired by her passions and life goals, we planned for the future, we analyzed the differences in the ways women and men approach life, we talked and talked -- and we ran. Having a teammate for that first hour, made the last 30 minutes during which I was on my own a piece of cake. I'm so grateful for these women and the many "teammates" I have in my life. It's my team that helps me remember my reasons. It's my team that calls and leaves motivating voicemail messages on my phone -- and somehow knows just the days when I need them. It's my team that calls my bluff when I want to go short. It's my original teammate Rachel who is helping me get through my longest brick workout yet of the year in just a few short hours. It's my team that is helping me meet my fundraising goal for the year, step by step. And..I'm excited to announce that it's my new team - Team Stayput - that will help me take the Tri to End Homelessness message far and wide (More on this soon....). I know for sure that THIS TIME, I can't do it alone. 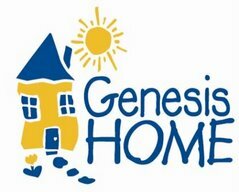 Genesis Home is that team for the families that are living there. It's the kids running through the hallways that help the parents (and the staff) remember their reasons. It's the case managers who help each family set goals that will lead to their independence -- and then challenge them to keep doing the work that make those goals reality. It's the many donors that provide the often unseen support that keep the doors open so that there's always room for the next family. Won't you join the team that is working to end homelessness one stroke at a time, one pedal at a time, one mile at a time, one family at a time? I can't do it alone and neither can Genesis Home. Please consider making your donation today. 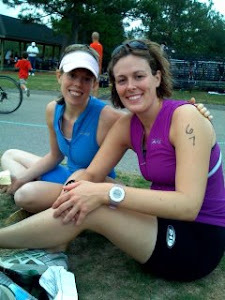 Saturday's race was more like Part 1 of a life triathlon. After meeting up with Ray (my Tri to End Homelessness teammate and cheerleader for the morning), we ran 2 miles to the race site, picked up my chip, and did a few a strides. It was by far the most relaxed start to a race I've had in a long time. Nice! I lined up with other folks who were hoping to run ~8 min/ mile. The start horn sounded and I went HARD off the line, per my coach's instructions. In an attempt to ignore my splits and really just run how I felt, I put black electrical tape over my watch. I later learned that I again ran the first mile in 7:26....and again, slowed down from there. Ah...I can just feel more muscular endurance workouts and speed work looming on the horizon.....Fun! Soon after mile one, my Sage Endurance teammate Katy passed me looking incredibly focused and strong. I KNEW she was having a GREAT race. Meanwhile, I was questioning why on earth I had agreed to this run! I focused on cadence, counted my strides, and successfully talked myself out of walking (It will never cease to amaze me that I can run and run and run during my weekly workouts, but seriously thought about walking during this 3.1 mile run.....). One lesson from the day: Ray noted that my form looked a bit off and very heavy on my heels near mile 2.5. I probably could have found another gear if I had simply leaned forward a bit. After crossing the finish lined in 25 minutes and change (I forgot to stop my watch and the official race results have not yet been posted), I congratulated Katy, sipped some HEED, and headed off for the rest of my run with Ray. Let's call my race results a "tired-leg PR" and move on. After another 2 miles of running back to Ray's house, I quickly changed into my cycling gear, got my bike out of my car, ate PB&J #2, and headed out for an easy ride. 16 miles later I was back. Home from my ride, I completed my morning with a short yoga practice in Ray's kitchen. The rest of my day entailed eating, showering, changing into outfit#4 of day, eating again, repacking the car, hosting a tea party-themed Baby Shower for 1 pregnant friend and 25 guests with Ray, Holly, and my Mom (we ate there too), and finally meeting up with Ryan for a laughter-filled family dinner in Chapel Hill (yes, more food). 14 hours later, I returned home. Exhausted and quite full. I may not have hungered for a breakthrough run during the morning's race, but at the end of the day my appetite for life was wonderfully satisfied. Official race results are now posted. So, I've somewhat randomly (thanks coach!) decided to race this weekend! Bright and early on Saturday morning, I'll be again testing my early season speed at the Kidney Kare 5K. My intention for this late addition? Maintain a "Why Not" attitude. Why not step up to the line? Why not go hard from the start? Why not ignore any doubt that creeps in? Why not smile as I'm grunting and spitting my way toward the finish? Why not run for the pure joy of it? I am the Tree planted by the River,Which will not be moved. Waiting until Friday evening, after a long day and long week at work, is NOT the time for me to excel in a two hour run / swim workout. Sure, I got through it - but I grumbled the entire time, felt sluggish, didn't make my interval times, and spent nearly 120 minutes convincing myself not to quit. Perhaps, that's effective mental training, but motivating it is NOT -- and despite my attempts at being a zen master, motivation is what was sorely missing last week. After Friday's lesson, I've decided that my motivation is strongest in the morning, and as such, this week I've embraced my morning person identity in a very strong way. From here on out, 5:00 am is my new training partner. At 5:00 am, when the world is quiet and my husband is still sleeping, I can rise and take on just about any challenge (provided I'm appropriately caffeinated!). At 5:00 am, I can hit my t-pace over and over again; I can hold my heartrate in zone 3 on my trainer for longer than ever before; I can watch the sunrise and get in several miles before most folks have even hit the snooze bar once. At 5:00 am, as Dr. Angelou says, I can "Give birth again / To the dream." This week in yoga, we focused on the fourth of the niyama: svadiyaya or self-study. Our teacher (who's also my coach) led us through a practice during which she encouraged us to ONLY NOTICE - not evaluate, judge, decide, change, solve...simply notice. It's been a great meditation for the past couple of weeks of training and life. After a week of training modification, followed by a week of rest, I'm back to lots of two-a-day muscular endurance work -- and it's tough! Really fun, but tough. My focus this week has been on noticing my effort -- and on not evaluating my progress or my struggles. Simply notice - hmmm.... this paddle/ swim fin workout didn't feel as challenging, I'm tired, I have energy, I'm motivated, I'm lacking motivation. Too often, it's the evaluation or judgment that lead me down an unproductive spiral -- and when the season ahead is a long one, simply noticing helps me take the long view. Taking the long view is often also a helpful strategy for the families living at Genesis Home. If they put too much stock in the ups and downs of what has previously been a roller coaster life, long-term progress seems unattainable. According to the Run, Walk, and Ride Fundraising Council, dollars raised by people -like me! -willing to exercise for a good cause rose 12.1% in 2007 and are expected to do the same this year - with the help of people like you! $95 million...(+26.5%)...Walk to Cure Diabetes...Juvenile Diabetes Research Foundation. Compared to these numbers, Tri to End Homelessness needs just a meager $6,600 more to meet our 2008 goal. You can help RIGHT HERE or HERE or EVEN HERE! This week I'm very proud to be featured as a Body Warrior on the Hijas Americanas blog. Blogger and Author Rosie Molinary wrote Hijas Americanas: Beauty, Body Image, and Growing Up Latina. While I haven't grown up Latina, I've certainly thought a lot about my body and have, at times, struggled with self-acceptance. Becoming a triathlete and focusing my attention on issues greater than myself have been my antidotes.